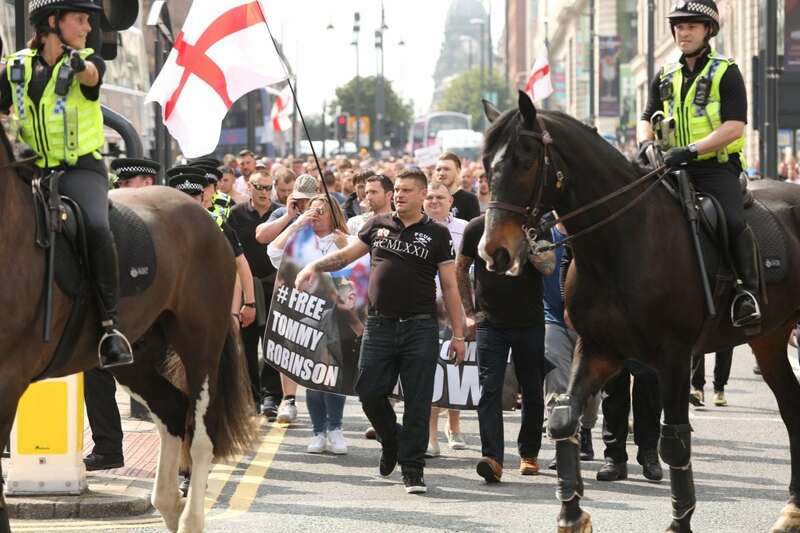 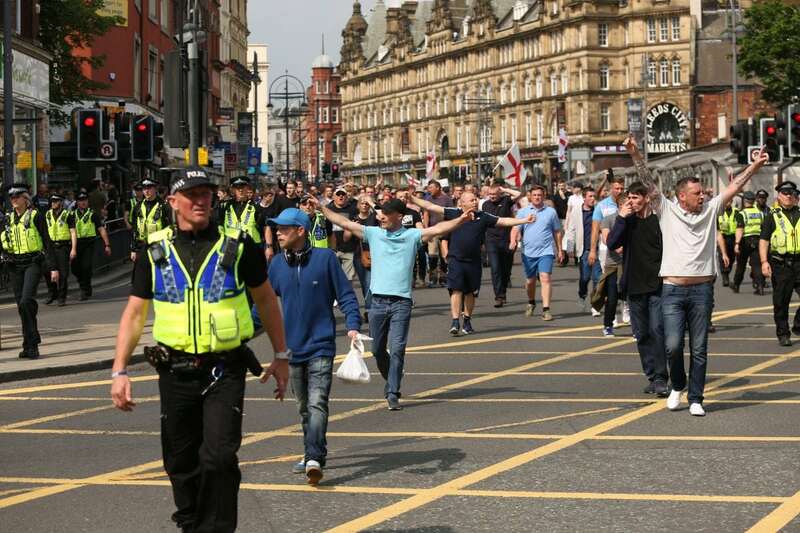 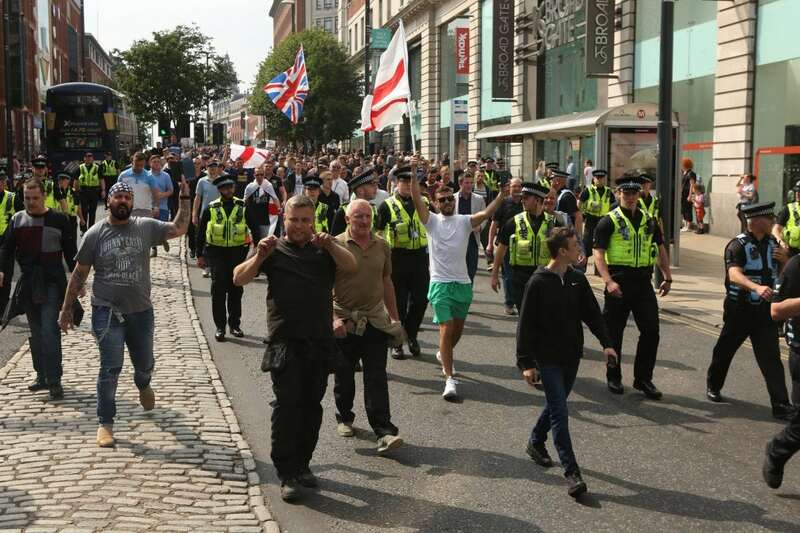 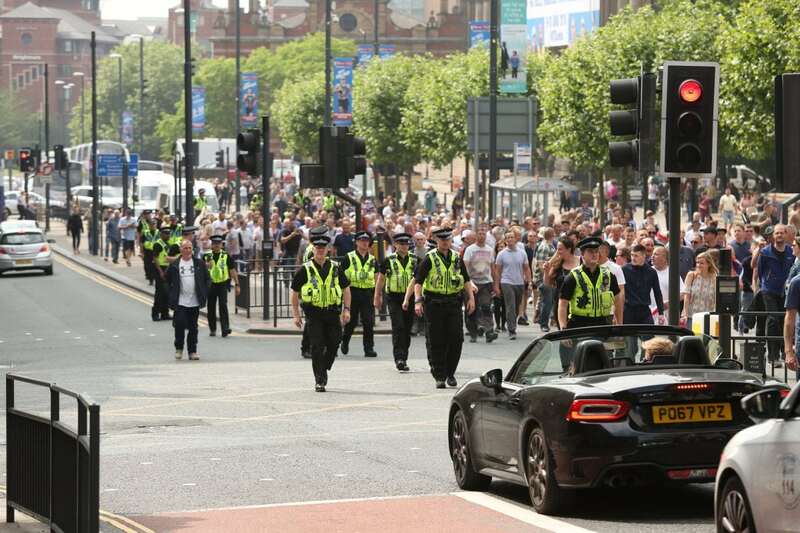 Around 400 Tommy Robinson supporters turned marched today to protest the jailing of the English Defence League (EDL) founder. 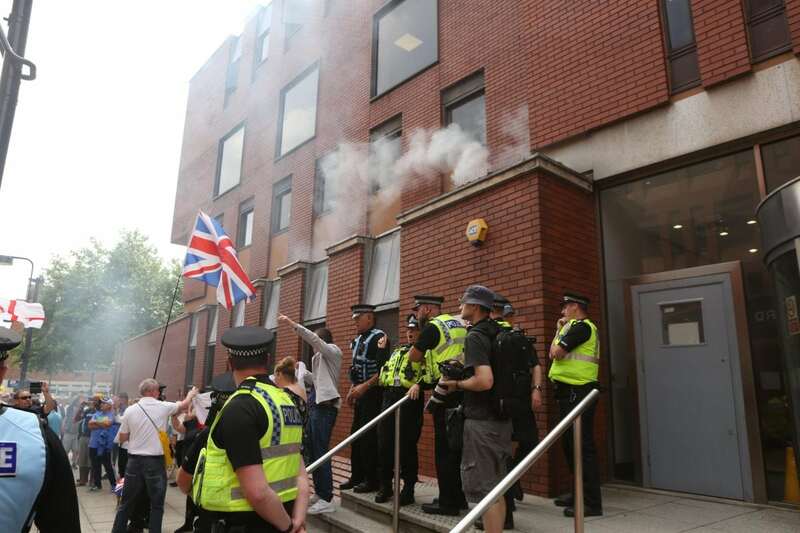 One supporter threw a red flare on top of the court building and a Dr Pepper bottle was thrown at a police officer. 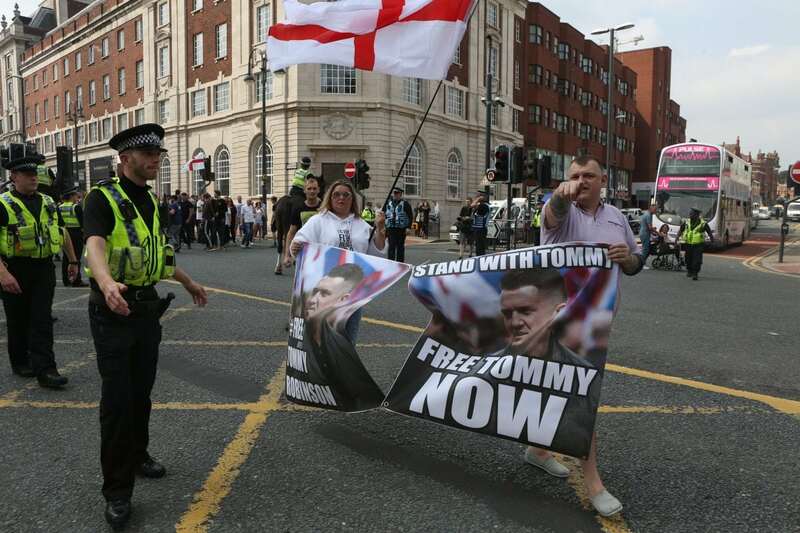 Despite Tommy Robinson admitting contempt of court last Friday in breaching a temporary reporting restriction put in place to allow related cases not to be jepoardised, 400 of his fans brandished ‘#FreeTommy’ placards. 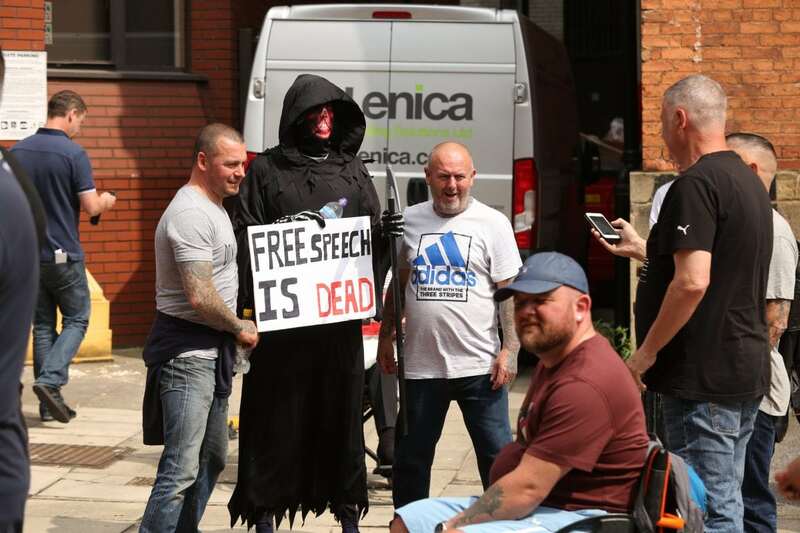 One home-made banner read ‘Free the truth teller. 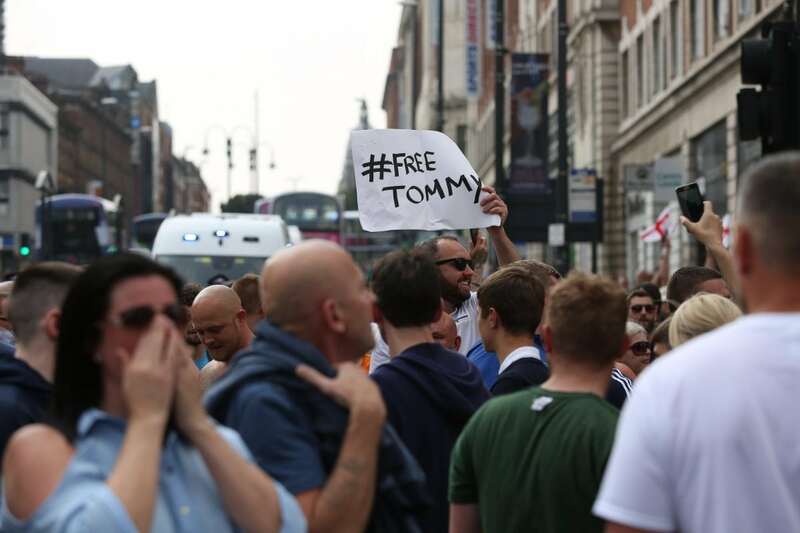 Free Tommy’. 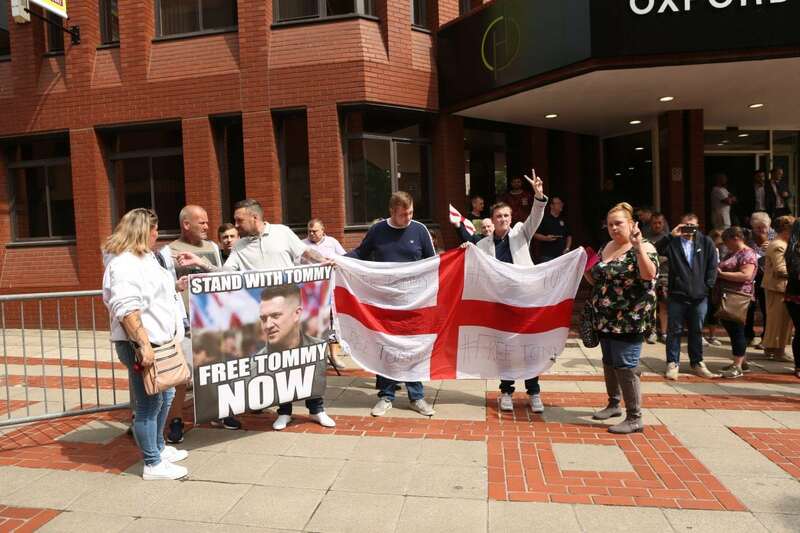 Robinson – whose real name is Stephen Christopher Yaxley-Lennon – had live-streamed himself for an hour outside the same court identifying defendants in a live court case seven days ago. 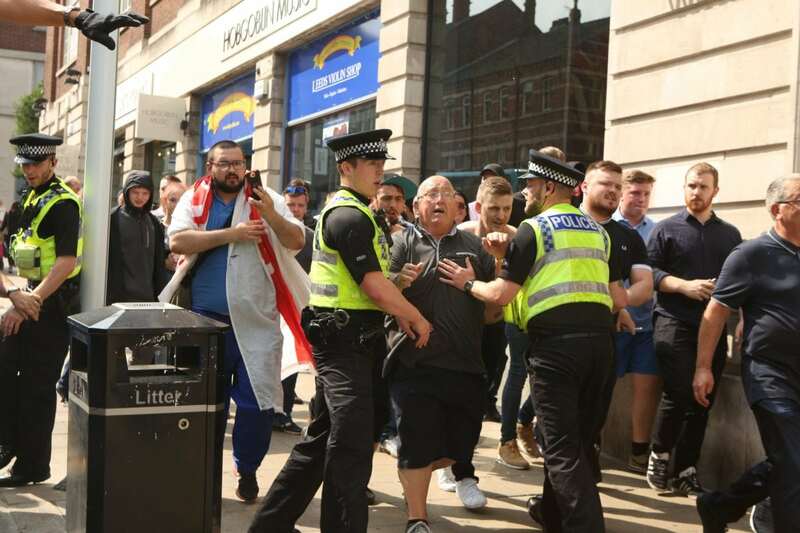 He was later jailed for contempt of court for live-streaming the images of the defendants and talking about case despite legal orders against it. 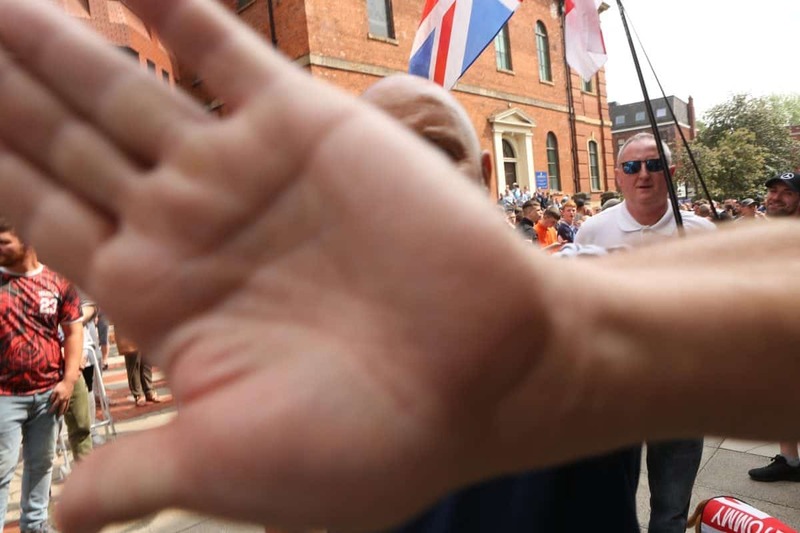 The footage that he had asked his fans to spread was viewed by 250,000 of the 750,000 fans on his Facebook account and almost caused the trial to collapse. 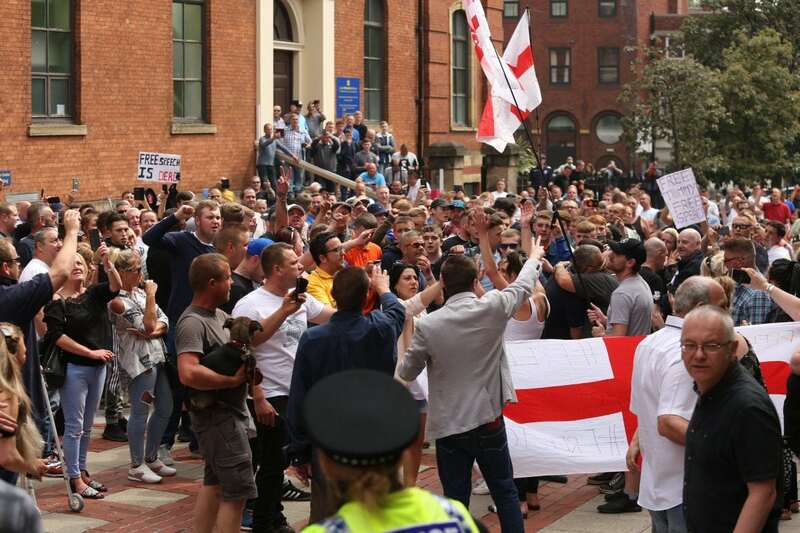 The judge in the case Robinson was filming outside had imposed a postponement order preventing the media from reporting on the ongoing trial until all linked trials had concluded. 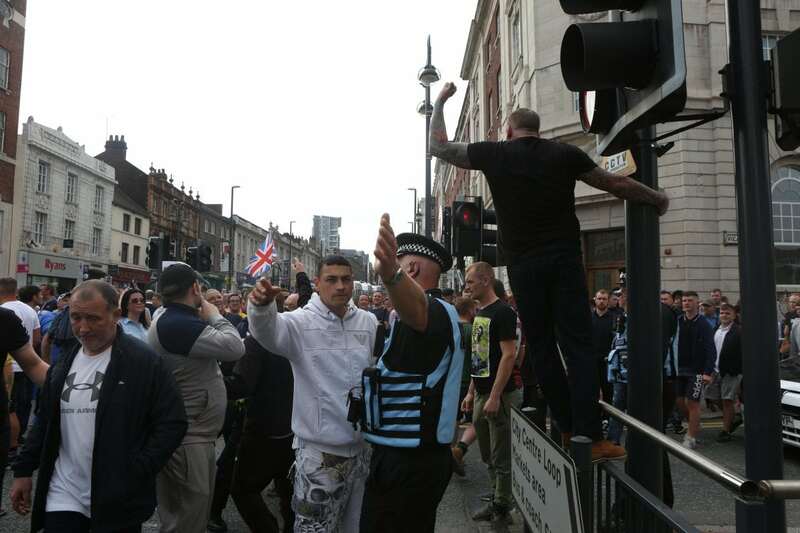 Breaching a reporting restriction amounts to a contempt of court, a crime that he had previously received a suspended sentence for. 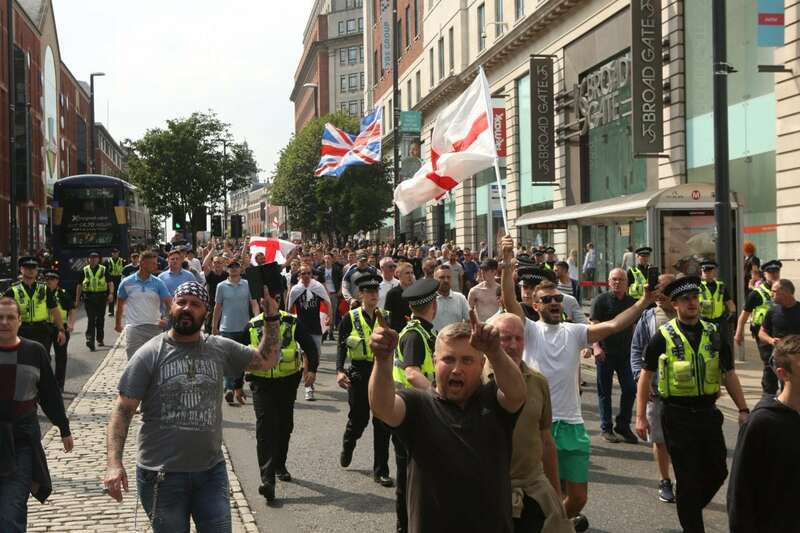 None of this deterred 400 followers of the far right activist marching on Leeds Crown Court, West Yorkshire, to voice their support. 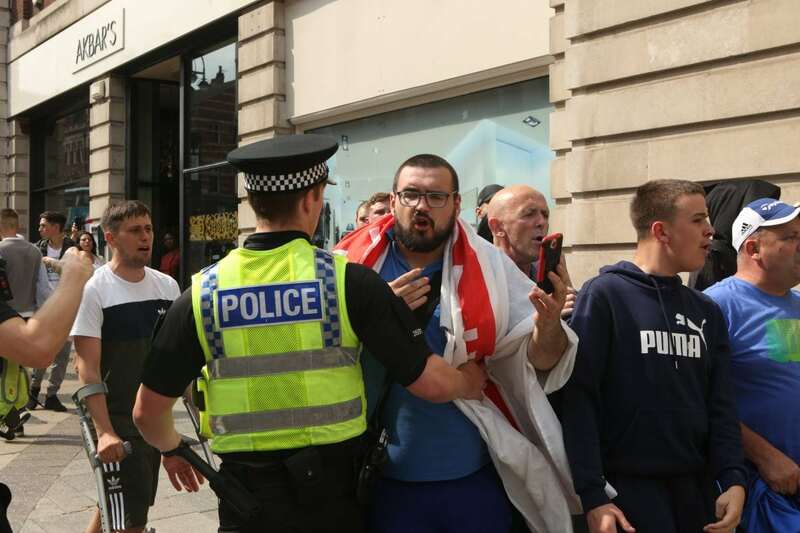 Robinson is currently being held at HMP Hull after after pleading guilty to contempt of court last Friday. 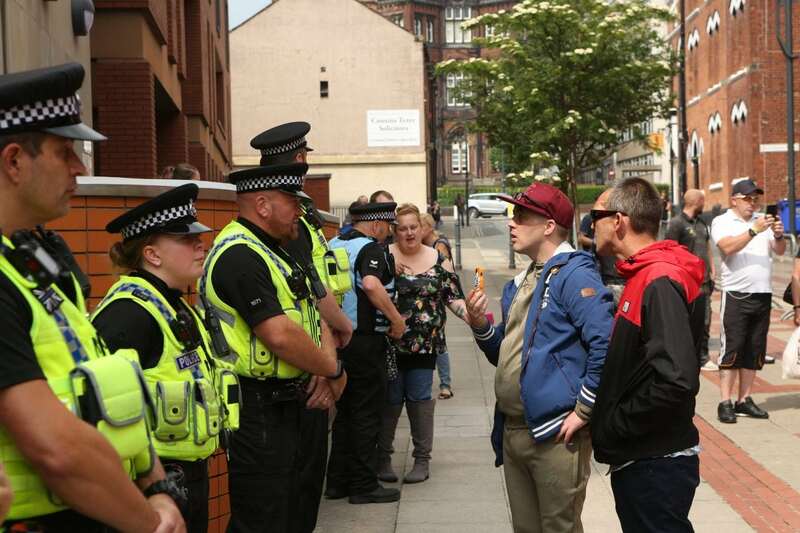 He had initially been arrested on the court steps for breaching the peace. 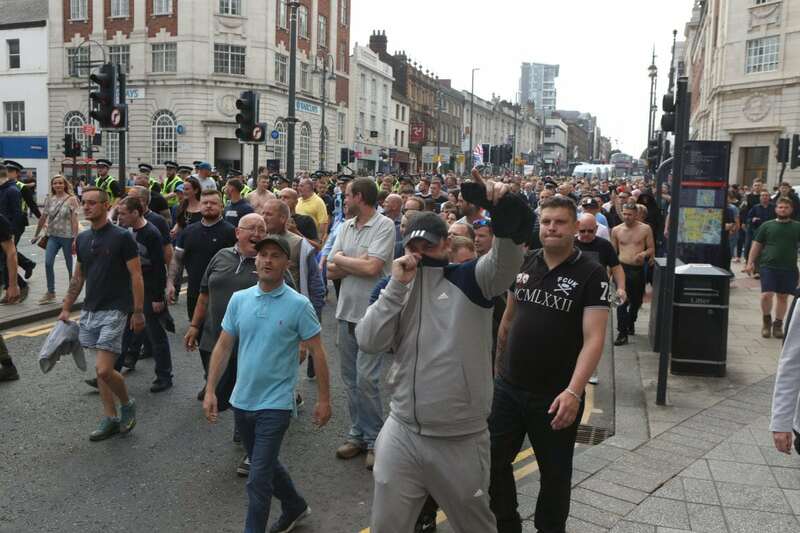 Robinson (Yaxley-Lennon) of Bedford, was jailed for 13 months after pleading guilty to contempt of court (ten months) and breaching an 18-month suspended sentence of his previous Contempt of Court last year at Canterbury Crown Court (three months). 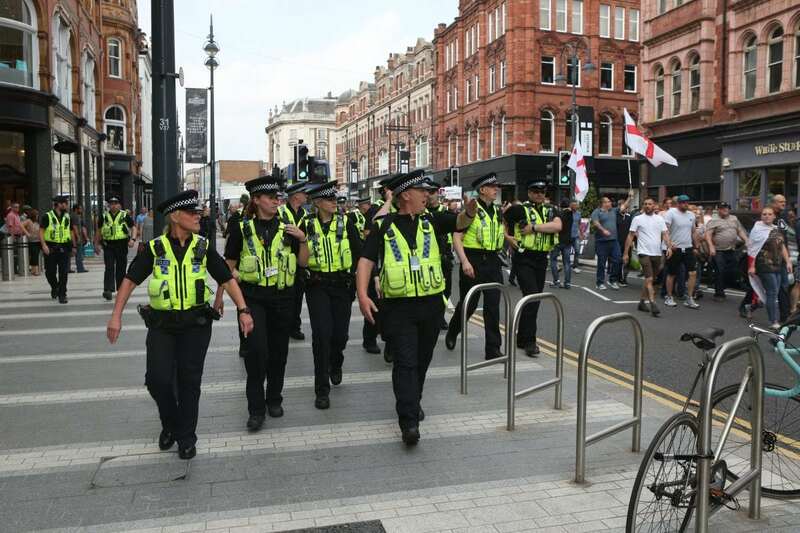 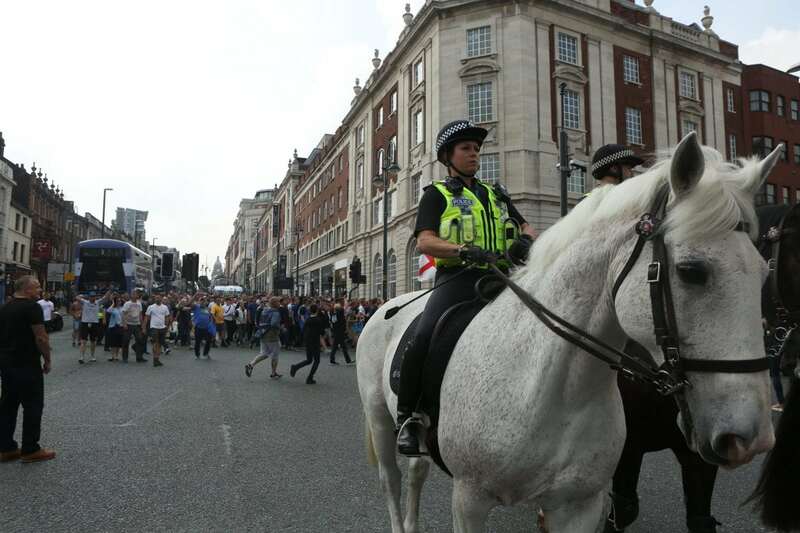 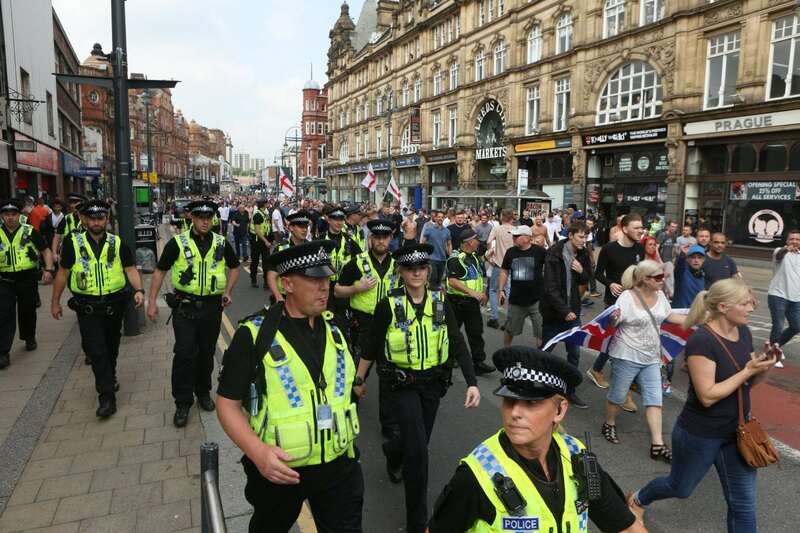 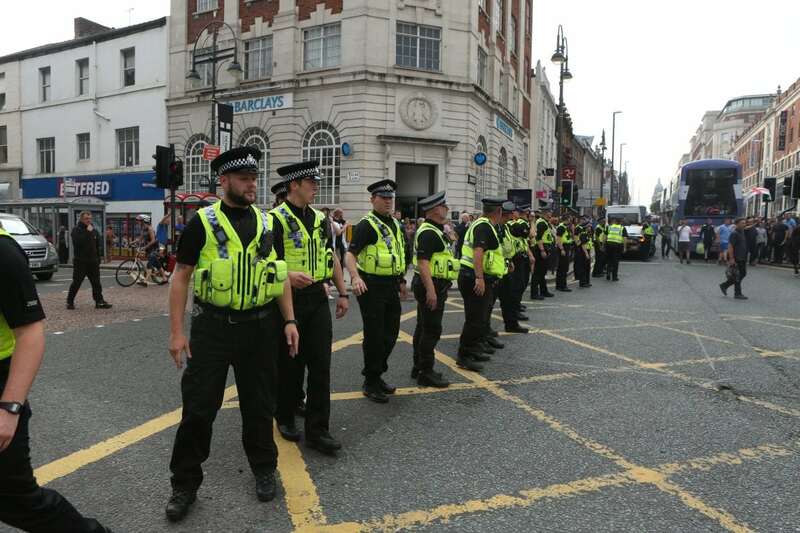 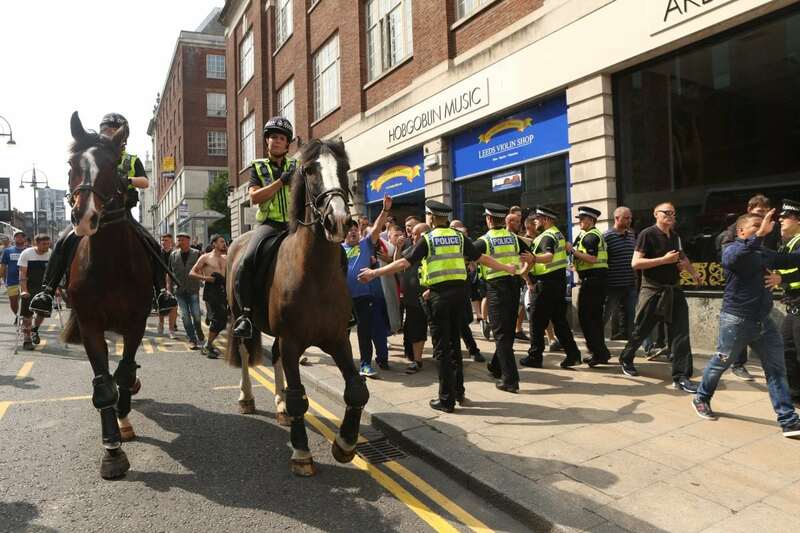 A Leeds journalist was hounded with threats from Robinson supporters after she had stood up in court and challenged an order preventing his jail term being openly reported. 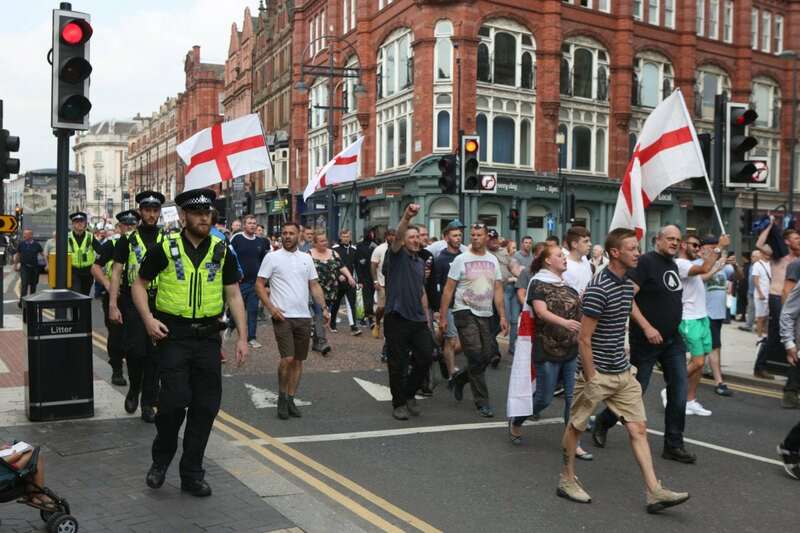 Robinson previously received a suspended sentence for common assault after headbutting a fellow EDL member at a rally in Blackburn in 2011. 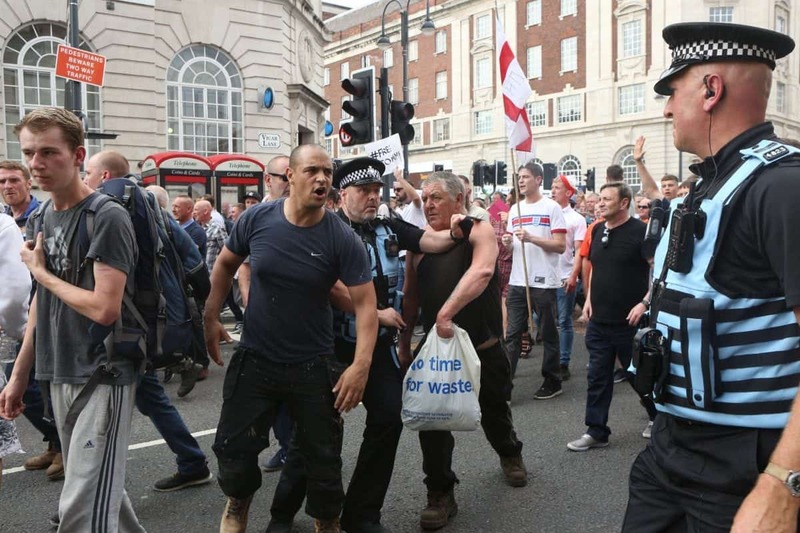 And in October 2012, Robinson was arrested and pleaded guilty at Southwark Crown Court to using someone else’s passport to travel to the United States. 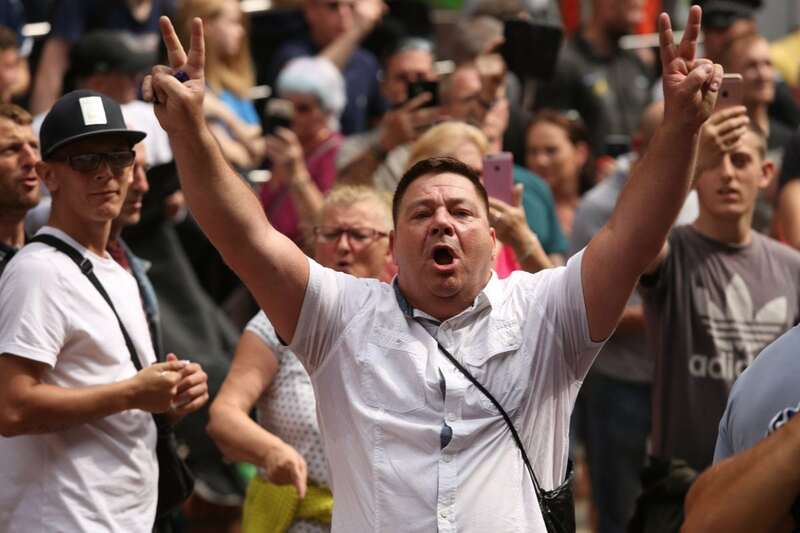 He was sentenced to 10 months’ imprisonment. 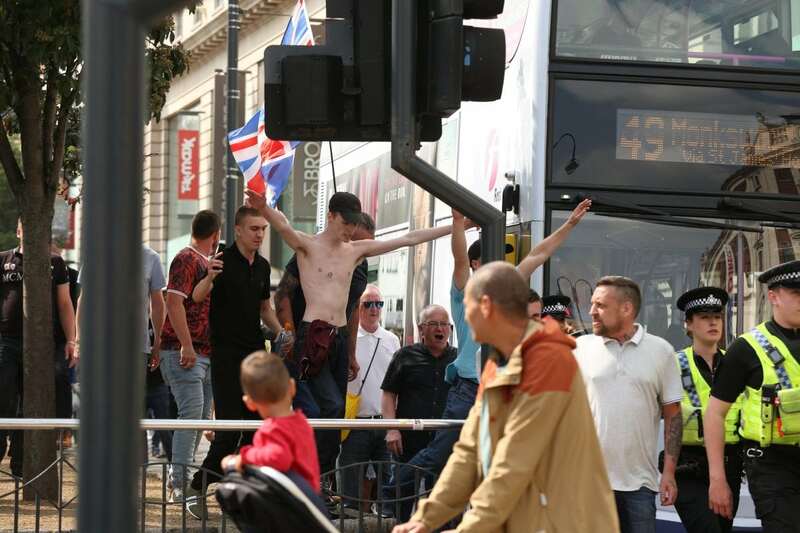 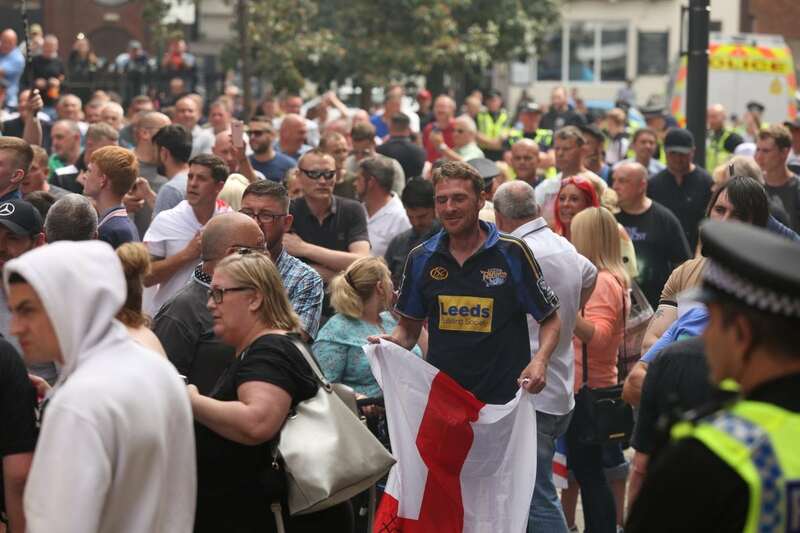 On being released, Robinson said that he left the EDL as he was dismayed to discover that the EDL’s ranks had been swollen with racist and neo-Nazi supporters.